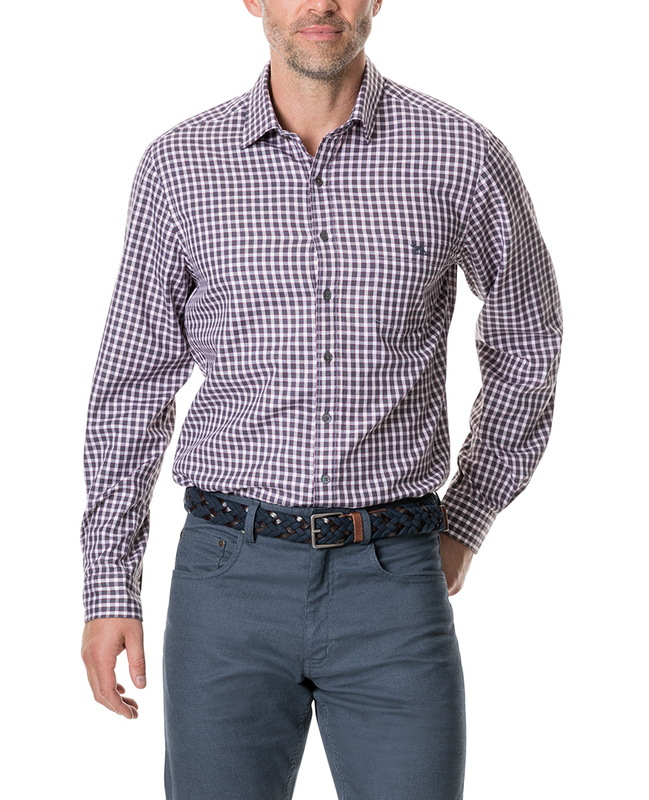 A long sleeve shirt in an Italian gingham check. A melange yarn reworks the timeless check and is enhanced with a brushed finish. Featuring a spread collar, single cuffs and mother-of-pearl buttons.